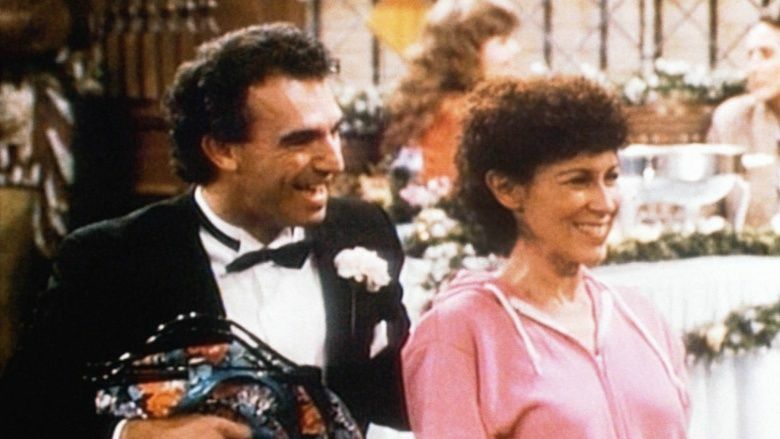 Jay Thomas, who appeared as Eddie Lebec in nine episodes of the TV sitcom Cheers, died from cancer on August 24, 2017 at the age of 69. On Cheers, Lebec was a French-Canadian goalie for the Boston Bruins whom Carla (Rhea Perlman) meets while he is riding a hot streak. However, as soon as Eddie and Carla start dating, he slumps badly. (To thwart the jinx, Eddie and Carla continue to date, but they go through a 'breakup' ritual before every game.) The Eddie Lebec character was popular, so the show's writers decided to have Carla and Eddie marry. However, Thomas, who hosted a radio show, got himself into hot water one day when a caller innocently asked him what it was like to be a Cheers cast member. The irrepressible Tomas replied, “It’s brutal. I have to kiss Rhea Perlman.” Perlman happened to be listening to the broadcast--and Thomas never made another appearance on Cheers. The show's writers had to come up with a way to drop Eddie Lebec from the show. In his final episode on Cheers, Eddie's hockey career was over so he had gotten a job in an ice show as a skating penguin. The writers came up with the memorable idea of killing Eddie off in a Zamboni accident in an episode cleverly titled "Death Takes a Holiday on Ice." (The premise is quite ridiculous: Have you ever seen how slowly a Zamboni moves? Its design makes it almost impossible for a Zamboni to run over anyone.) Despite the absurdity of the plot twist, Cheers fans loved it. Eddie's death also led to a further plot development: At Eddie's funeral it was revealed that he was a bigamist whose second wife was strikingly similar to Carla! According to writer Ken Levine, this idea worked well as it made Eddie look like a heel, thus viewers were happy he was no longer part of the show.